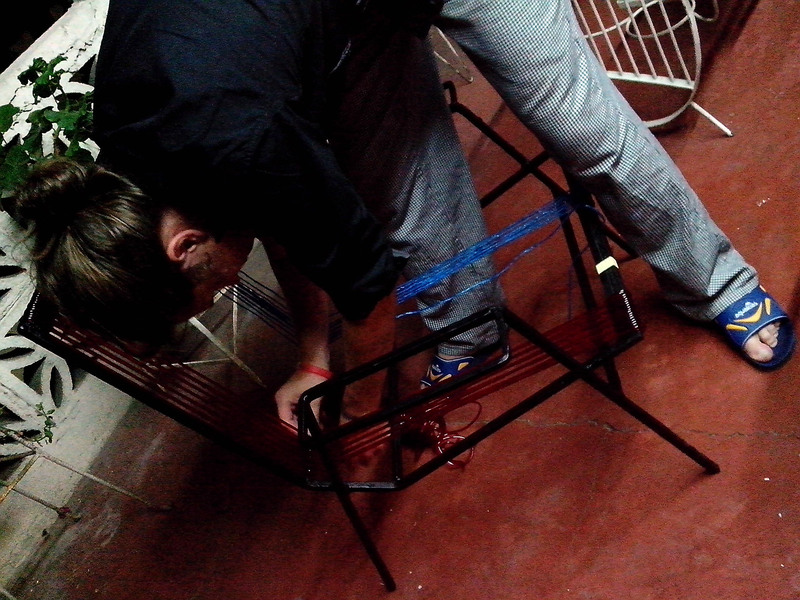 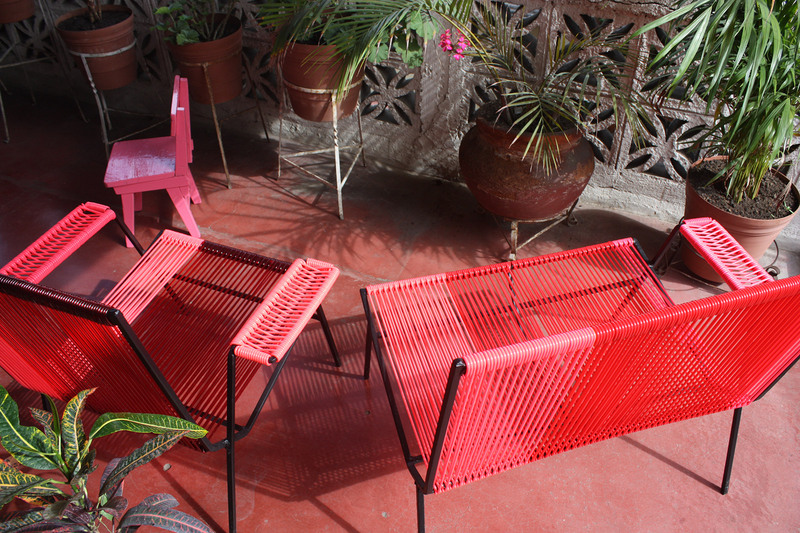 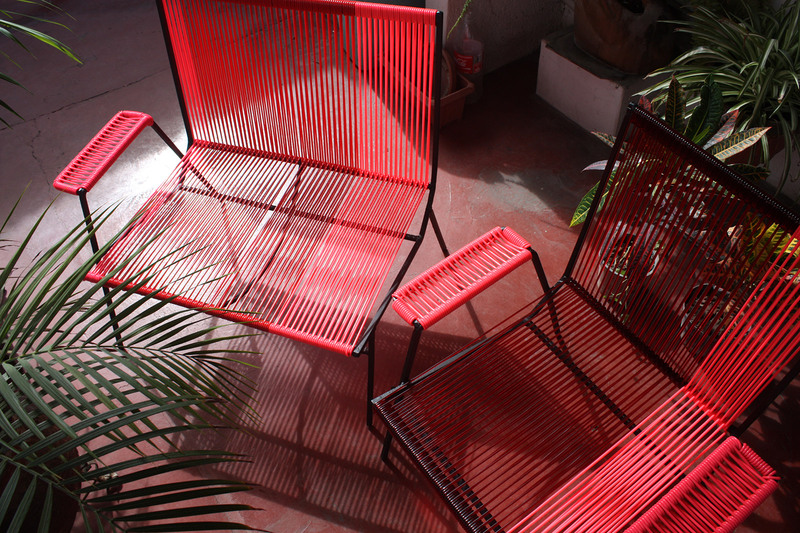 In our mexican house we found two steel frame seats. 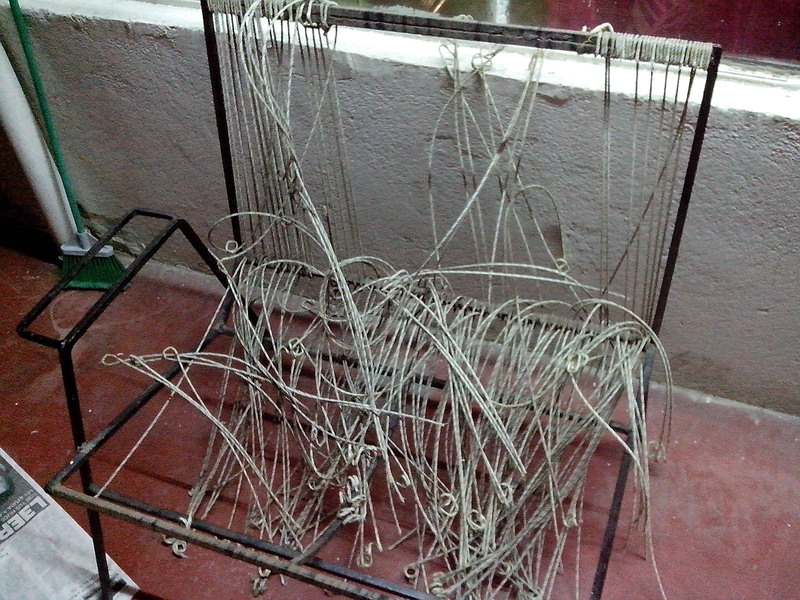 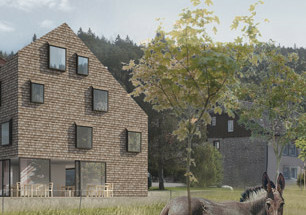 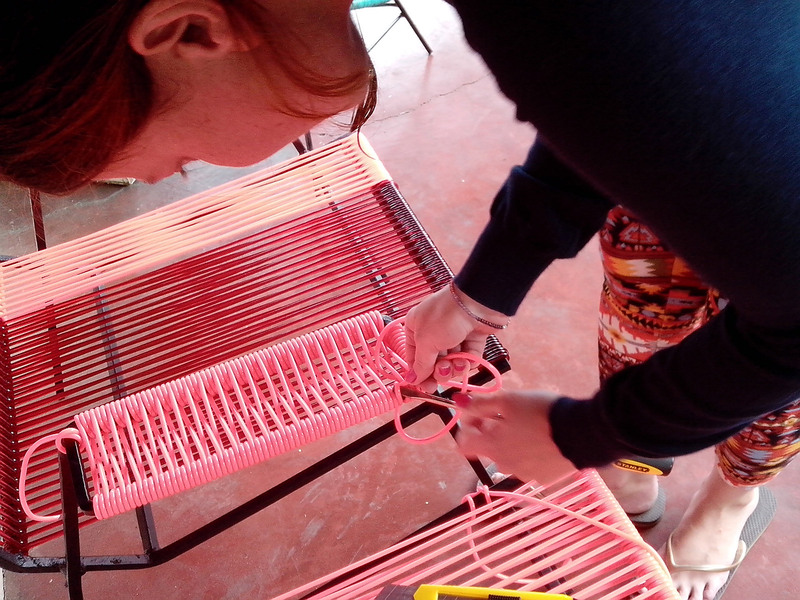 Rusted with old plastic wire woven full of dirt… Here is the result of our DIY renovation. 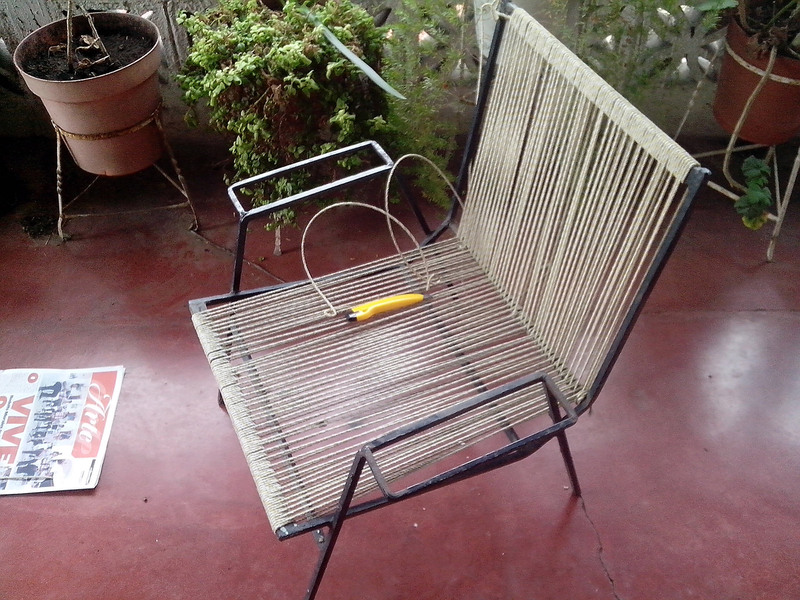 Some cleaning was needed. 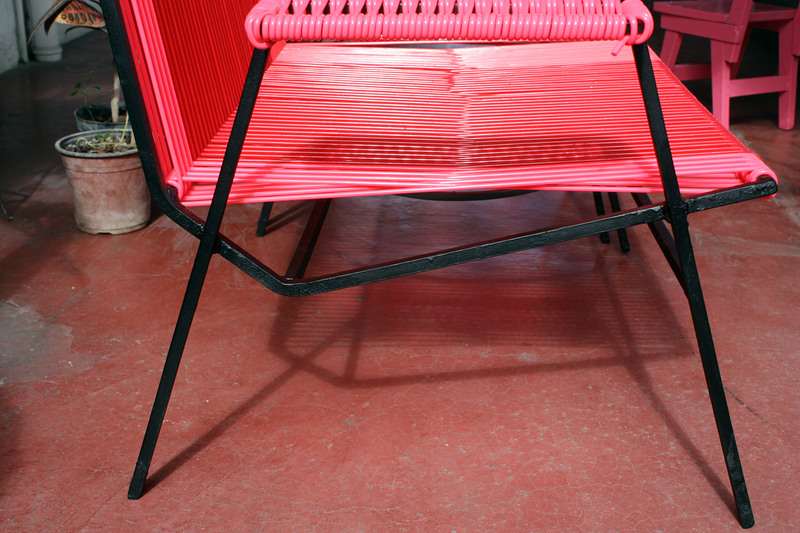 Then we simply painted it black with basic black matte aerosol. 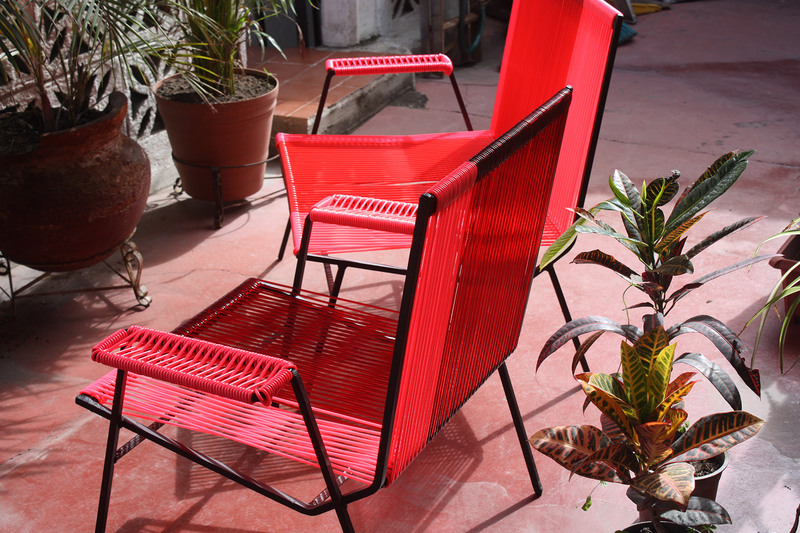 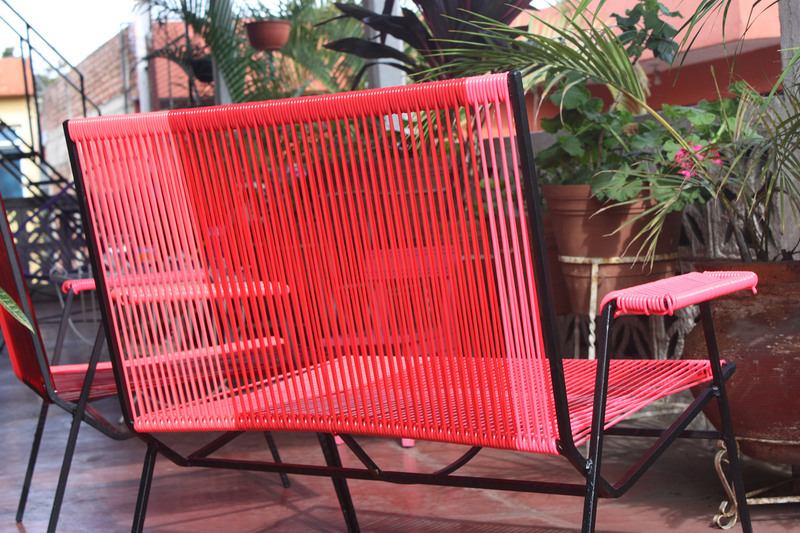 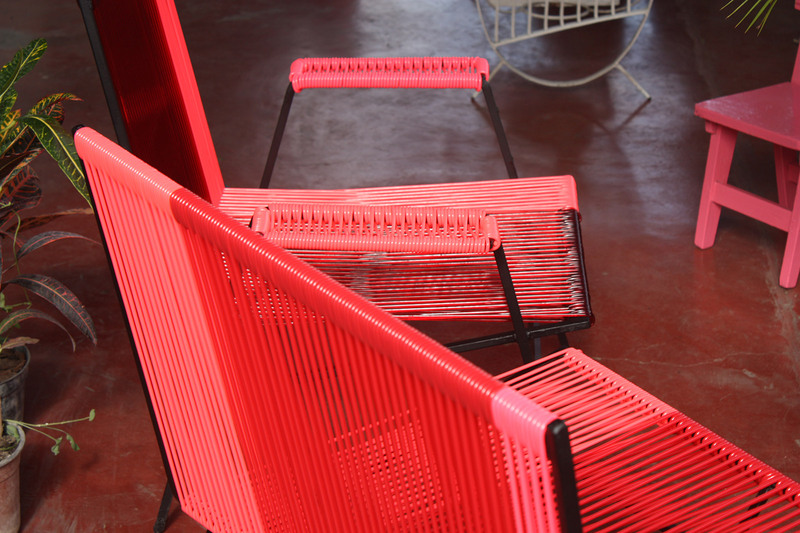 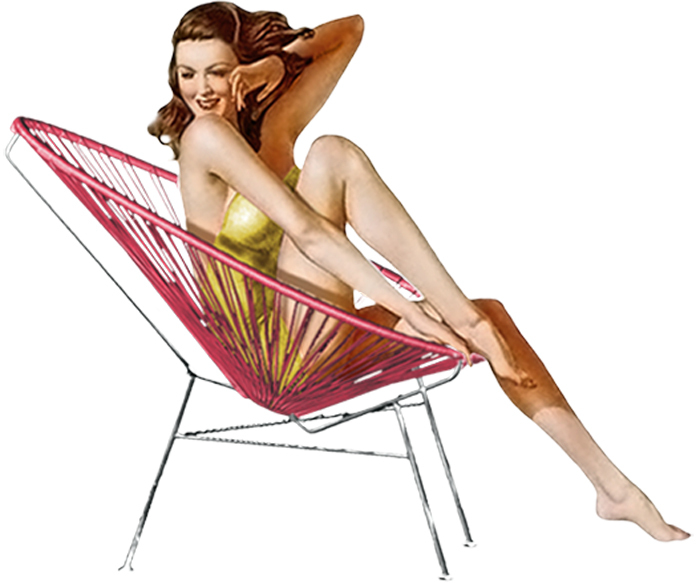 The plastic vinyl wire is in Mexico common material used by local artisans to make a lot of various stuff – handbags, lamps, some small scale furniture accessories and also famous Acapulco lounge chairs known as Sillón Acapulco or simply Silla Concha.